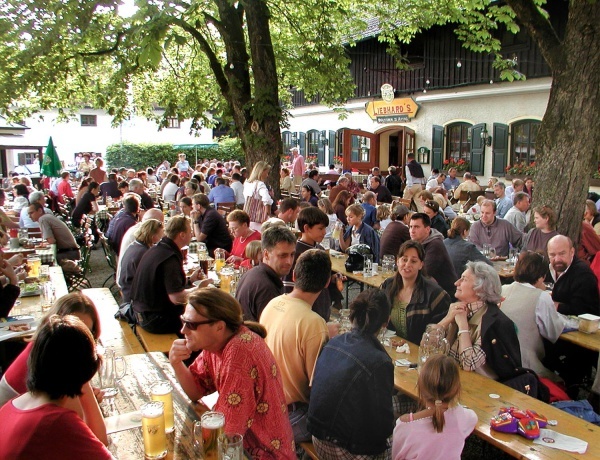 The Ayinger Bräustüberl restaurant and beer garden is located at an idyllic village square amongst old-style buildings near the church in the small village of Aying, 25km south east of central Munich. 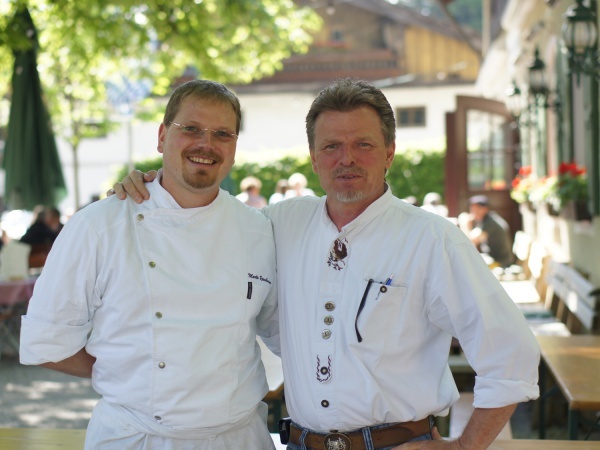 The restaurant has existed since 1904 and is owned by the nearby family-run Ayinger brewery, which was established in 1878 and is today one of the most modern breweries in Bavaria. The beer garden has 450 seats in the self-serviced area and 500 seats in the serviced area. The Ayinger Gasthof in the historically listed manor house opposite the beer garden offers accommodation in form of a small and exclusive boutique hotel. To fulfill your Ayinger experience, available activities include guided tours of the brewery, beer tasting seminars at which you can brew your own 10 litres of beer under supervision of a brewing master, cooking classes with a head chef, as well as an opportunity to test your bowling-skills on a fully restored all-wooden 1886 bowling alley which was once a typical “Lusthaus” attraction of the original beer garden. Several Ayinger beer varieties are available in the beer garden and are served straight from the tap. Guests can choose between Ayinger Lager Hell (€5.40/Maß), Liebhard's Kellerbier (€6.00/Maß), Bräu Weisse (€6.00/Maß) (wheat bear) and Altbairisch Dunkel (€6.00/Maß) - an old Bavarian style dark lager. Ayinger beer has won several International acclaims including “One of the Top Ten Breweries in the World” Award in 2003, 2004 and 2005. The beer garden is open everyday throughout the summer as long as the weather is good. The food stall in the self-serviced area opens at 11am on weekends and public holidays and at 5pm on weekdays; before then, guests of the self-serviced area can fetch their beer from inside the restaurant building.